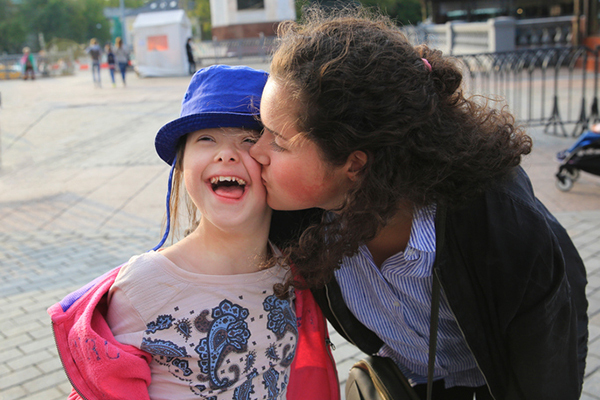 Having a sibling with special needs is a unique experience that provides both challenges and benefits. The feelings that arise in children are often complicated. The love, appreciation and compassion they feel towards their sibling can be mixed up with worry, resentment, fear, frustration and anger. Parents who are in tune to their children’s feelings can help them work through negative emotions and turn them into positives. Unfortunately, kids with special needs are often targets of teasing. Kids (and adults) who don’t understand people’s differences may make insensitive comments, ask inappropriate questions, or make fun of someone who is different. Typical siblings of kids with special needs may feel the need to stand up for their sibling, explain their situation to others, or may be the brunt of teasing themselves. “One of the biggest challenges in growing up with my sister was watching people laugh at her,” says Justin Lyons, whose sister Kara has Cerebral Palsy. Parents can help by equipping kids with appropriate responses and teaching them to identify and report bullying. 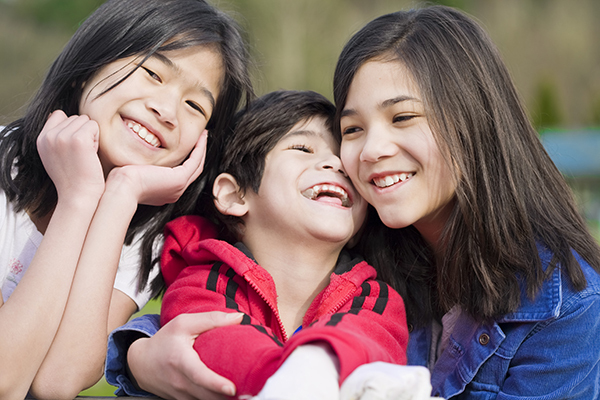 Siblings of kids with special needs naturally develop compassion and a strong sense of loyalty to those they care about. Even though Kara being teased was hard for Justin, he says it made him less likely to laugh at or tease other people. Kids who grow up in a home with a special needs sibling typically become dependable, compassionate and loyal adults. Parents may try to treat children fairly and spend equal amounts of time with each child, but when a child has developmental delays or significant medical needs, maintaining balance is extremely difficult. Frustration (or even jealousy) can develop. Kids may feel they get less attention and that their parents spend more time caring for the sibling. When these feelings develop, it is common for kids to feel guilty that they even have the thoughts, causing them to be more upset and resentful. As a parent, try to be understanding and patient about your child’s feelings. Talking it through, listening, and taking your child seriously will help him feel loved and included. If possible and appropriate, encourage your child to join you in caring for the sibling, but don’t push the issue. Remember that sibling rivalry and feelings of jealousy are normal in any sibling relationship. As your child gets older, help him learn patience and self-control. He will likely learn to put other’s needs before his own. 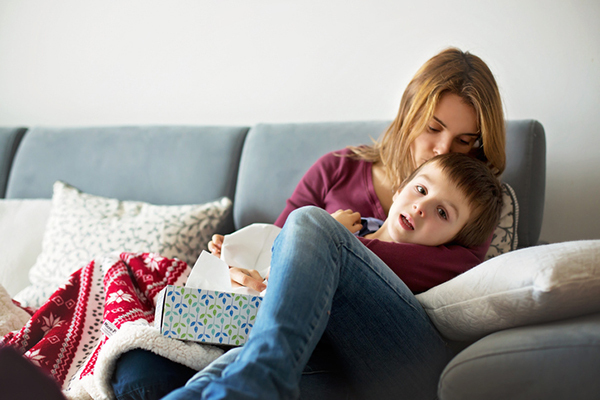 When kids have a sibling with serious medical challenges, lowered immunity or other special needs, kids may feel worried or afraid about their sibling’s health. They may not be able to express feelings the way an adult can. Kids may act out, become overly emotional or appear aloof. Parents can help by being honest about health concerns in an age appropriate way. Including children in discussions reassures them and reduces fear of the unknown. Kids who are exposed to someone with medical and developmental challenges naturally become more compassionate and empathetic to those who have struggles. “I attribute my sense of understanding and compassion to growing up with my sister,” says Michelle Hupp, whose sister is an adult with Down syndrome. Each person is different and kids will have a variety of feelings related to their sibling with special needs. Some kids may feel pressure to live up to parents’ expectations because the sibling may never reach certain milestones. Kids may feel resentment, anger or frustration that they miss out on activities because their sibling’s care puts restrictions on the family. “Siblings often feel guilty about negative feelings such as jealousy,” says Hupp. “The rewards outweigh the negatives, but sometimes the negatives are hard to talk about.” Parents may not know exactly what their child is feeling or how to address the topic. If you suspect your child is struggling or feelings are difficult to overcome, consider seeking professional help. Support your child’s healthy development and encourage an appropriate relationship between your kids. While all of these challenges are realistic, kids with siblings who have special needs typically also develop a variety of wonderful characteristics such as kindness, patience, empathy, compassion, acceptance of differences and helpfulness. As a parent, it helps to think of the long-term benefits and help children shape challenges into successes. Sarah Lyons is a freelance writer and mom of six kids. Find more articles and resources for families with special needs at www.SNRFSD.org -- the website for the Special Needs Resource Foundation of San Diego. Gionna Paulin, 14, is like many teen girls—she likes volleyball, track and field, pop star Nick Jonas and walking her dog, Rocco. However, unlike her peers, she also knows what it means to be “the other one.” Her 4-year-old brother, Joey, has a rare and terminal mitochondrial disease, which has left him unable to walk, talk, sit, stand or swallow. Much of Gionna’s parents’ time is spent caring for Joey, and she says she sometimes feels forgotten. According to the Sibling Support Project (www.siblingsupport.org), there are more than 6 million Americans with special physical, developmental or mental health concerns. Most of them have typically developing siblings. The organization works to boost peer support and information for brothers and sisters of those with special needs, and to increase awareness of sibling issues. What can parents do to keep these lines of communication open, to prevent their healthy child from becoming frustrated and shutting the family out? Howard offers some other tips. “Set aside time each day or at least each week for the healthy child. Even 10 minutes a day will work; it’s not so much about quantity as quality. Sibling Support’s Meyer says parents need to educate themselves about siblings’ issues. “Brothers and sisters share many of the concerns that parents of children with special needs experience, including isolation, a need for information, guilt, concerns about the future and care-giving demands,” he says. Like Meyer mentioned, siblings of those with special needs can sometimes feel resentment or embarrassment about their situation. Relationships with schoolmates can sometimes be difficult, and many teens vacillate from being uncomfortable to being protective when their siblings are around. However, she says most of the time her friends are supportive, coming over for big birthday bashes, pumpkin-carving parties and Christmas caroling gatherings that Roseanna plans as a way to make Gionna feel special. For Gionna, the hardest part is that Joey is not a “normal” kid she can play with, she says. Many of her friends have brothers Joey’s age who are now in school, and that makes it especially tough, her mom says. “We just remind her that Joey was put here for a reason and we just have to consider ourselves blessed that God chose us to care for him,” Roseanna says. That makes it much easier to enjoy whatever time she has left with her little brother. 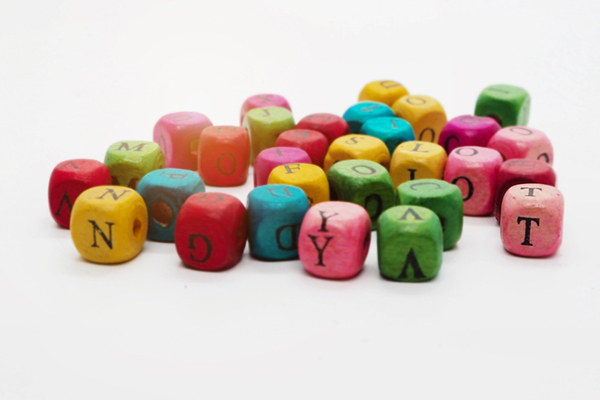 How to Talk So Your Kids Will Listen and Listen So Your Kids Will Talk, by Adele Faber. Living with a Brother or Sister with Special Needs, by Donald Meyer and Patricia Vadasy. Being the Other One: Growing Up with a Brother or Sister Who has Special Needs, by Kate Strohm. Tiffani Hill-Patterson blogs about her family’s experience with deafness and cochlear implants at SoundCheckMama.com. – Spend a few minutes each day checking in. – Make birthdays and holidays extra special. – Listen to your child’s frustrations. – Give them a break from caregiving. – Help them find peers in a similar situation. Tiffani Hill-Patterson writes about parenting, health and fitness. Parenting a child with special needs can wear a parent to the bone. I know; I parent several kiddos with special needs. As a mom I’ve found it necessary to give myself room to breathe, space to center, replenish and pull myself together. I can’t be of much use to or support for my kids when I am running on or close to empty. Below are some of the practices I subscribe to and suggest you consider as a parent of a child with special needs. Remember, you have special needs, too. Educate yourself about your child's special needs. Knowledge provides understanding. I found that the more I learned about my child's special needs the more confident I felt about how to help her cope, handle situations and advocate for her. I was a more effective caregiver. Consider therapy for yourself. You need to be as healthy as you can for your child. You can feel a whole range of emotions: anger, fear and uncertainty among them. Your emotions are normal. Get support. Develop or join a network of parents who have children with special needs. Ask your child's occupational therapist or physician for ideas or contacts. Many parents of children with special needs share that they feel isolated. Ask for help. Tell your partner and friends how you feel. You are the primary caregiver, and parenting a child with special needs is emotionally and physically taxing. Others probably don't have any idea how you are feeling. Tell them how they can help, like offering a listening ear, or watching your child so that you have time to replenish yourself. Cry. 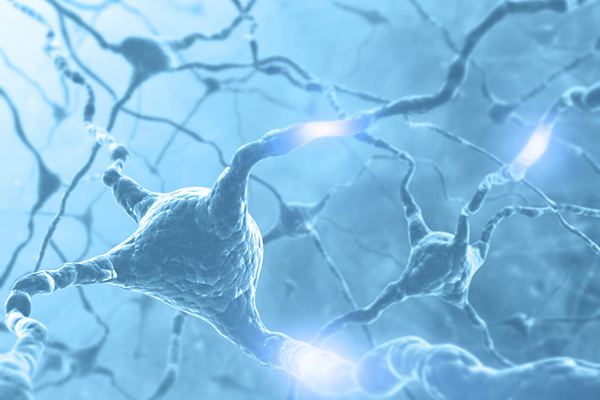 Stress hormones, found in tears, negatively affect every system and organ in the human body. Crying provides health by eliminating harmful stress hormones. Haven't you found that you feel relief after a good cry? Give yourself personal time in the form of a walk, writing in a journal, or some other activity you enjoy. Do this every day. Take care of you. Make sure you are eating food that is healthy, drinking plenty of water, exercising and getting plenty of sleep. Judy M. Miller works with pre- and adoptive parents, encouraging and empowering adoptive families through difficult times. She is the author of the international selling What To Expect From Your Adopted Tween. 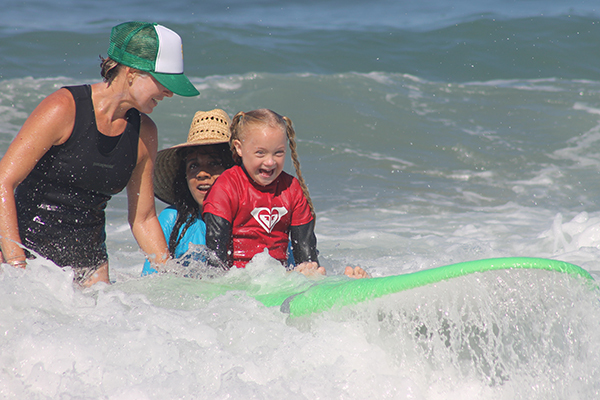 Surfing Madonna Oceans Project, a non-profit dedicated to protecting our ocean and coastlines, opens registration this month for their annual Surfing Madonna Surf Camp for kids with special needs. Located at Moonlight Beach in Encinitas, camp sessions are scheduled twice per month, May through September. Campers, ages 3-17, work one-on-one with a professional instructor and two volunteers during each two-hour surf lesson. No swimming or surfing experience is required, and surfboards, wetsuits, water and snacks are provided. There is no cost to participate. The organization’s president, camp founder and co-director, Bob Nichols, has been surfing since he was a small child. “Being in the ocean can relieve stress and bring about a sense of health and happiness,” says Nichols. “It’s a healing resource and best of all, it doesn’t cost anything.” With an awareness of how surfing has positively impacted his own life, Nichols created the program to share his passion for the ocean with children with special needs. Surfing Madonna has two floating beach wheelchairs available to campers, if needed. A plastic mobility sidewalk used for wheelchair access through the sand is also an option. “We feel surfing gives children the opportunity to explore the ocean as a therapeutic medium for social interaction, creating friendships, gaining a sense of independence, building confidence, strengthening muscles, providing sensory input, motor planning, and developing lifelong skills,” McCarthy explains. Surfing Madonna hires the Surfin’ Fire Surf School to bring surf equipment and provide instructors. McCarthy describes the Surfin’ Fire staff as patient and fun, helping the kids feel comfortable and enter the water only when ready. The camp experience enriches the lives of not only the kids, but of the dedicated surf instructors, volunteers, onlookers and involved families. “The kids just love it,” McCarthy says. “It’s hard to get a lot of them out of the water as they want to catch ‘just one more wave.’ We’ve heard children ask if they can take the surfboard home!” While the surfboards stay behind, the kids do take home a personalized surfing diploma, finisher’s medal and sponsor goodies – along with a newfound love for surfing. Many campers continue to enjoy ocean activities throughout the year. First-time participants are given priority registration and returning surfers are placed first on a waitlist, if necessary. Because of the advance registration process, spots are expected to open throughout the summer due to cancellations. Last summer, all waitlisted campers were able to participate. Future plans involve also offering a similar surf camp to adults with special needs. Surfing Madonna Surf Camp is primarily funded through the annual Surfing Madonna 5K/10K/15K Beach Run, the largest low-tide beach run in the country, held every October at Moonlight Beach. Don’t miss the opportunity for kids ages 12 and under to participate in a shortened 1K version of the run. If Encinitas isn’t a convenient location, register for the “virtual” option and walk or run in your own neighborhood (you’ll still receive a t-shirt). This is a great way to get out-of-town friends and family involved! Participating in the run, spreading the word about the program, volunteering for camp or donating to the organization are all great ways to help introduce kids with special needs to a life-long love of the ocean. Learn more about Surfing Madonna Oceans Project and surf camp at www.surfingmadonna.org. Register for the beach run at www.surfingmadonnarun.org. Enter coupon code SDFM30 at check out for a 30 percent discount on race registration. Encinitas resident Lisa Pawlak is a contributing writer and mom of two sons. 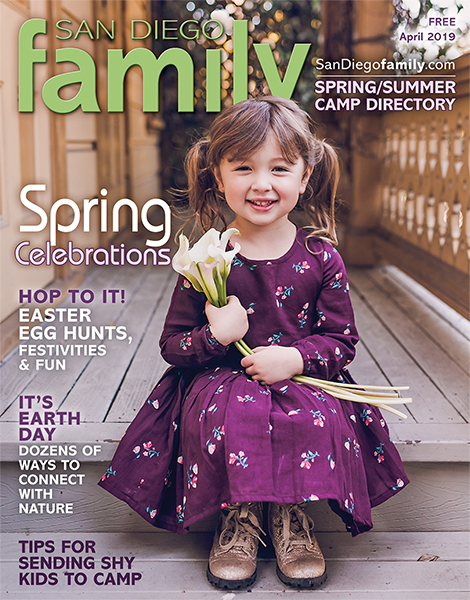 Discover more camps and enrichment programs for kids with special needs in our Flourishing Families resource listing. Take care of your physical and mental health to give more to your child. Parenting any child can be difficult. However, parents of children with special needs undoubtedly have more layers of challenges, often leaving them feeling alone, exhausted, and overwhelmed. Between coordinating therapy appointments, ensuring special care at home, work and caring for the rest of the family, many parents have little time for self-care. Eat healthy - Make sure you eat balanced, nutritious meals and snacks each day. Fill your plate with plenty of fruits and vegetables, but also include a whole grain, dairy product and lean protein like chicken or fish. Eating healthy can influence your family to make healthy choices too. Exercise - Fit exercise into your daily routine. Exercise is not only good for your physical health, but helps with your emotional and mental health too. Exercise helps to boost confidence and reduces stress and anxiety. Don’t feel like you have to exercise for long periods of time. It’s the quality not the quantity. Experts say that with just a 15-20 minute workout, you can achieve great benefits. 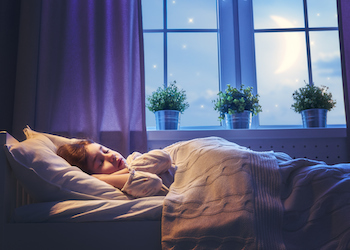 Get sleep - Sleep problems are common among parents of children with disabilities and can affect their health and daily ability to function. Try to get 7-8 hours of sleep each night. If your child does not yet sleep through the night, try to sleep when they sleep. Take time out for yourself - Whether it’s to read a book or go for a walk, take some “me” time each day. You may even try waking up early before everyone else to have some time alone, gather your thoughts, and plan your day accordingly. Build a support system - Creating a strong support system of family and friends is critical. If you don’t have family nearby, establish a quality network of friends who you can trust and teach to help take care of your child so you can get a break every now and then. Also, find a support group of parents with children who have special needs similar to those of your child. Just talking about your challenges and successes is very therapeutic. For many parents of children with special needs, finding a balanced life may seem elusive but it is critical. All parents need to care for themselves, before they can fully give to their child. If you take care of yourself, the better you will feel physically and mentally; the happier you are, the more you will have to give to your child and family. 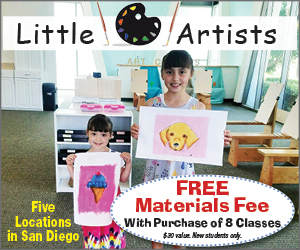 Kimberly Medeiros is the Executive Director of First 5 San Diego, the region’s leading organization for promoting the health and well-being of children ages 0 through 5 and their families.